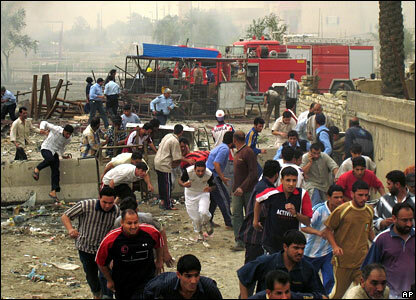 A series of bombs have killed scores of people in Baghdad. 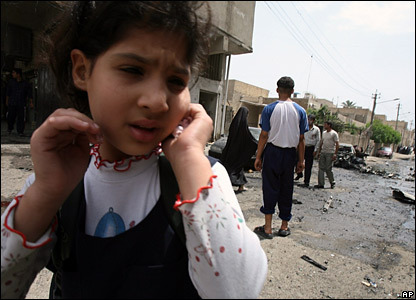 The attacks took place in mostly Shia areas. 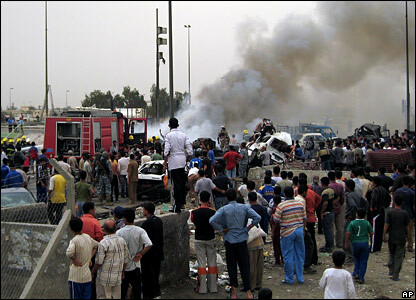 At least 10 people are thought to have died in Karrada. 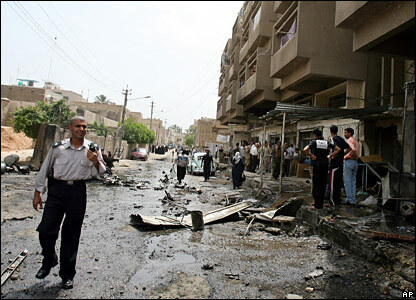 The bomb there went off in a car parked near a private hospital. 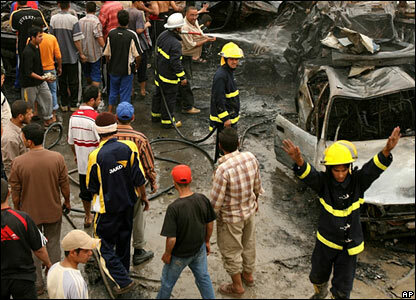 The worst attack targeted a market in the Sadriya area. 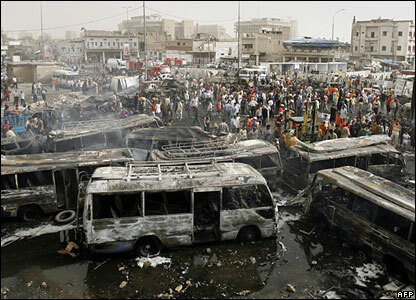 The market was being rebuilt after it was destroyed by a bombing in February. The deaths came on top of 130 killed in the February attack. 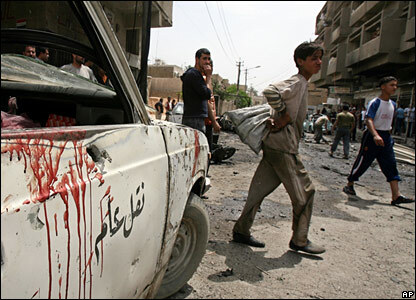 There was more bloodshed in Sadr City, where insurgents attacked a police checkpoint. 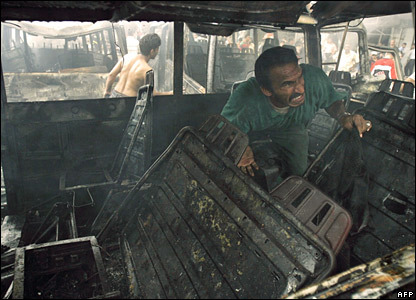 Firefighters tackled the blaze, which destroyed several vehicles. 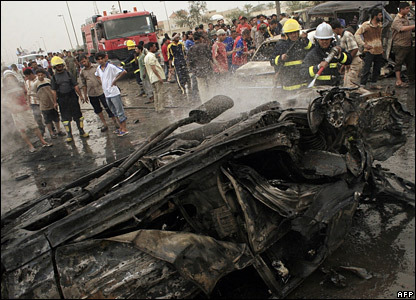 The bomber had detonated a device as he drove into the checkpoint. 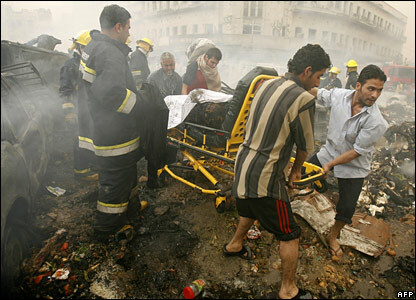 In what has become an almost daily occurrence, the bombing left many people shocked and helpless.